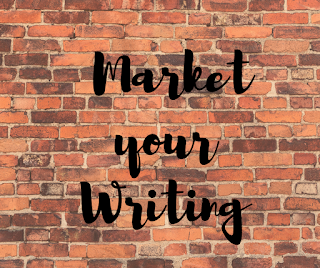 Whether you're an author, writer, or have a home business you should have a book under your belt. Books are one of the most powerful authority building tools. And, they can be created with little or no money, though services like CreateSpace. Since bookstores don't have the same draw as they once did, to sell that book you need to think out of the box. You need to think about by-pass marketing. I first learned of the term, by-pass marketing, through a teleseminar presented by Steve Harrison. The featured speaker was Jack Canfield. He explained that “only one out of seven people in the United States go into book stores to buy a book.” This was back in 2010. Imagine the percentage today. In fact, today, book stores have jumped on the internet bandwagon, as the majority of their sales come from that source. 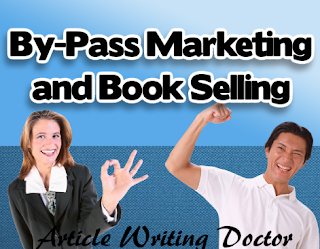 Getting back to by-pass marketing, what does it mean? By-pass marketing is selling in places you wouldn’t expect to see books for sale. You get the idea. Sell anywhere you can. Think of establishments in your area where you have to wait for services or that get a lot of traffic. Talk to management or the owner of an establishment and offer a percentage of sales or a set amount per book. This is a win-win situation for you and the business owner. They have absolutely no investment of money, time, or effort, therefore no risk. Yet, they have the opportunity to make money. This should be a no-brainer on their part. All you need to do is ask. Such a great idea. Creativity is definitely key in marketing, especially when it comes to books. I have to add ... the best gift books and cards in my neighborhood are at my local car wash! So, you never know! Yes, it is! And, that's another by-pass venue to add to the list. Thanks for sharing. Okay and gearing up for 2017 when I shall write that non-fiction book, I shall collect my local marketing list and angle the book towards interested buyers in my area. Perhaps one local resources chapter could encourage even more helpful outlets? Thanks, Karen. Anne, great plan! And, once one door opens, it can very well lead the way for more and more. Let us know how you make out with it! Thanks Karen, these are very useful ideas we can all benefit from. Linda, Glad you found them helpful. Sometimes, local grammar schools even have event where authors can sell their books - my grandsons' school does. And, there's community fairs and such. We just have to keep our eyes open!